What is PLANET ALPHA exactly? 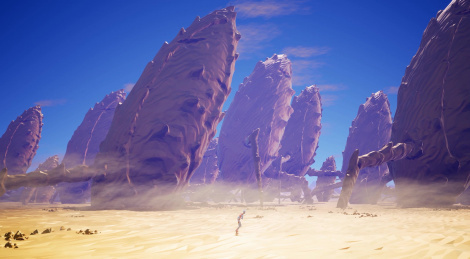 Although the game opens up with neither cutscenes nor information about the story, it is hard not to think of Eric Chahi's Another World (also known as Out of this World) when discovering PLANET ALPHA for the first time. The main character seems to be stranded on an unknown planet, he's wounded but we have no idea what happened to him. After he has recovered from his injuries, he starts exploring his surroundings, introducing us to the gorgeous world that is PLANET ALPHA. Everything seems to be peaceful and quiet, but it is not going to last very long, as some threatening robots will soon land on the planet in an attempt to invade it. 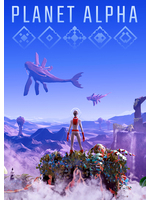 The hero will then have to sneak past his enemies to avoid being killed, but his agility and brain will also be vital to his progression, which does not come as a surprise in a side-scrolling platform adventure game. Prepare to die a lot like in Limbo or Inside (or Another World for that matter) and to have your breath taken away by the impressive visuals. Clearly, Unreal Engine 4 has been put to good use to create this exotic and strange world. We have only played the very beginning of the game, but we're already under its spell. We don't know yet if the game will deliver on its promises until the end but while we're trying to find out, enjoy the videos!